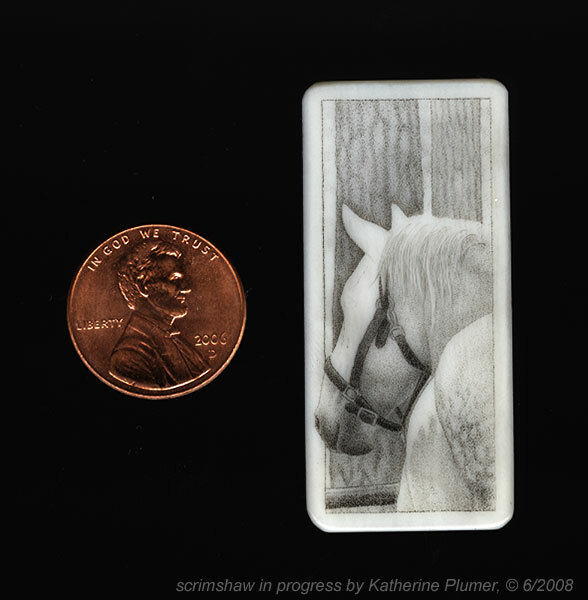 My life, under the microscope...: Percheron Scrimshaw done! I did it! :-) But it was a strenuous process. 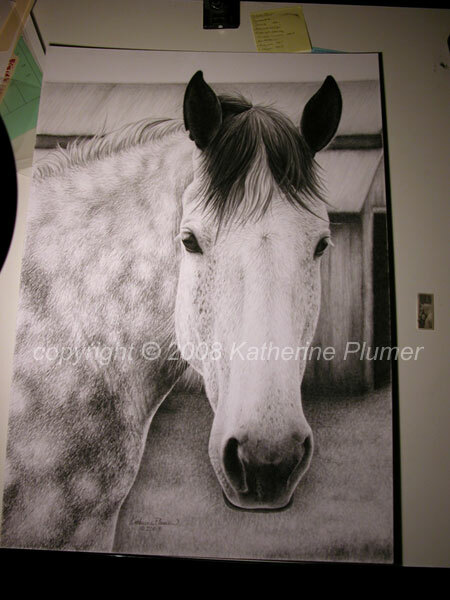 After exactly three more hours today I was willing to call it done, so I scanned it, printed a pic, and dashed off to the post office to mail the entries. It's a juried show, I should find out by the end of the month whether I'm in or not. I entered 4 pieces in State Fair too, should know about that by the end of the month as well. Cross your fingers! 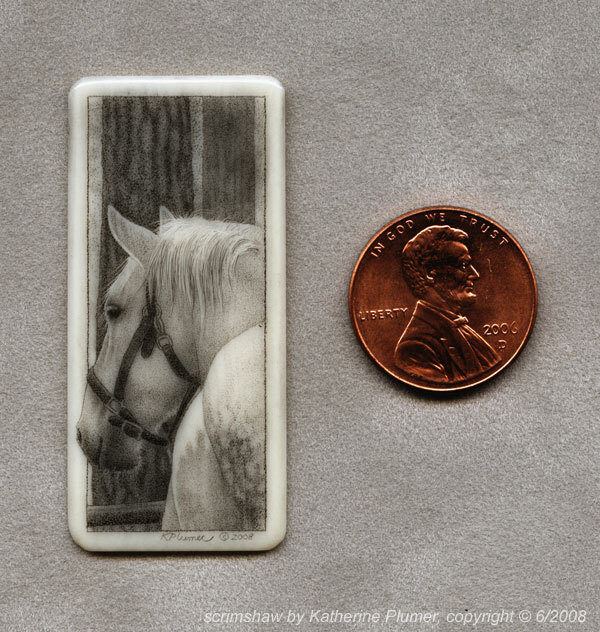 Just for kicks, here are the two pieces I entered in Draft Horse Classic, side by side. Both Percherons, slight size difference ya think? ;-) Interestingly, the tiny scrim took about 2/3 as long to create as the big drawing. 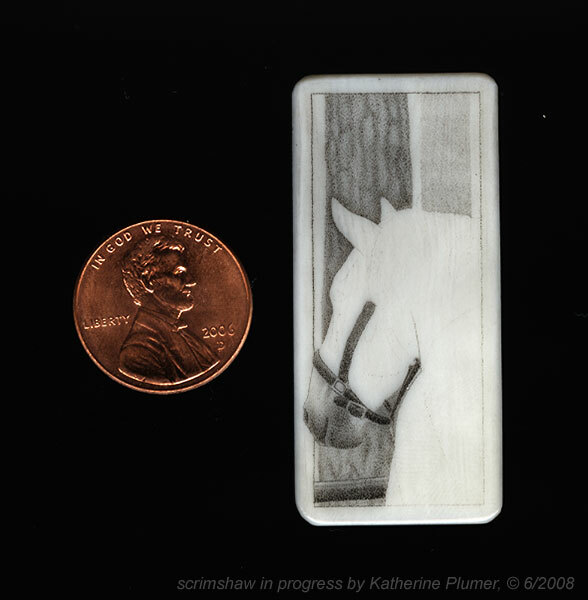 The moral of the story here is don't do scrimshaw on tight deadlines, it's really hard. And don't do ten hours of scrimshaw in a day, it really hurts. What is the (traditionally accepted) largest draft horse breed? Hey Aaron, okay here are my answers to those questions, but you might get slightly different answers depending who you ask. Percherons, as a whole, are generally shorter than Clydesdales. A lot of Clydesdales are pretty leggy. The largest draft breed would be the Shire (again, on average).